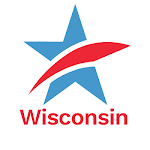 Common Cause (and Common Cause in Wisconsin) is part of a national coalition offering voters a toll free telephone "hotline" to call between now and through Election Day - November 4th. The toll free number is: 1-866-OUR-VOTE (1-866-687-8683). Try calling the toll free number - it works!